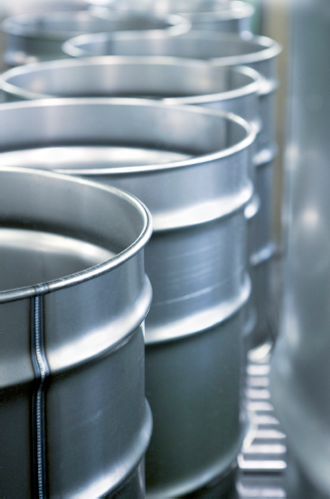 Whether you package hazardous chemicals or food products, cold-rolled carbon steel drums provide safety and durability. Consolidated Container's new steel drums for all your shipping needs. Consolidated's line of new cold-rolled steel drums. No matter what your industry needs, we have the right containers with customizable features and specifications. Available in tight-head or open-head drums in a variety of sizes. Available with several choices of interior linings and a variety of exterior colors.